Oak Lawn Animal Hospital is a family practice offering a full range of veterinary medical services for dogs and cats. Dr. Margaret Gretschmann and Dr. Kenneth Gretschmann have been caring for dogs and cats for over 40 years. They offer services with no appointment necessary and walk-ins are welcome, a unique approach to veterinary care. 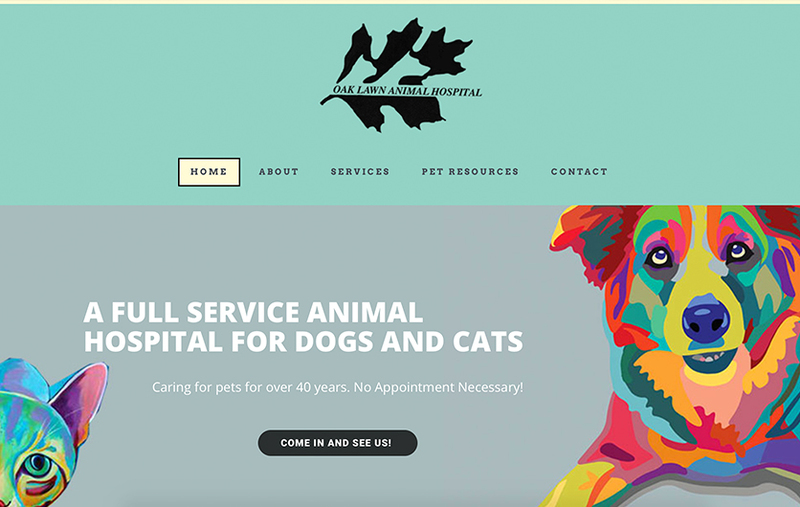 When we started the web design conversation with the doctors of Oak Lawn Vet, they did not have a web presence. They knew the importance of staying up to date with an exciting brand, with a mobile-friendly website and appeal to how users want to consume content: visually. 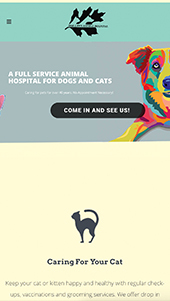 All in all, we created a visually appealing website for Oak Lawn Vet that highlighted their veterinary expertise and ease of their walk-in approach to pet care. Ready to optimize your marketing and see better results?